Fresh from Britain's Got Talent, Sam Jones brings you a night of Magic, Mind Reading, Comedy and Ventriloquism fit for the whole family. Sam displays a youthful style with a show that you will never forget. With lovable puppet characters such as cheeky teenager - Connor, Japanese karate master - Hoi Sin Fling Poo and of course the guy that got him into the Semi-Finals of BGT, Baby Leo! Sam has been performing magic from the age of 4. He performed his first show for his primary school when he was only 5 years old. Since then his love for magic grew and grew and his unique talent and style only got better. At the age of 11 Sam started performing his first paid gigs and his reputation quickly spread through referral and word of mouth. As Sam grew older he never lost his passion to entertain, baffle and astound and loved the reactions he received from people of all ages. Now, Sam is performing regularly at all sorts of events including, Weddings, Pubs, Restaurants, Hotels, Corporate Events, Parties, etc. 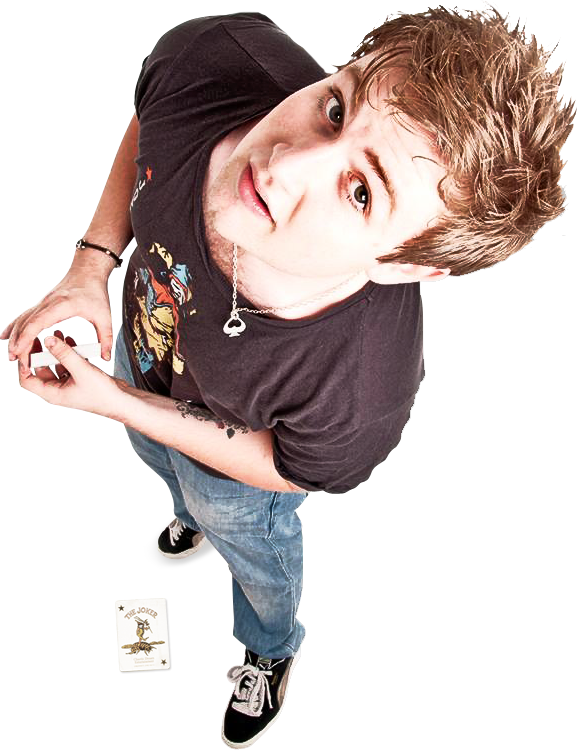 Sam doesn’t only bewilder people with his incredible Sleight Of Hand and Close Up Magic, he also performs at various theatres with his very own stand up comedy, magic and ventriloquism shows. Sam has a wide variety of shows for different ages. Ranging from Children’s/Family shows for all ages to Adult shows for over 18′s only. What makes Sam’s shows unique is that instead of it being a typical magic show he also brings in the art of Ventriloquism with his much loved puppet characters. Sam has spent many years developing his shows to make them the best they can be and the best that his audience will have ever seen. Sam’s style of magic is diverse and unique. Mixing magic with comedy in his own wacky way. Sam’s shows are really something that you won’t want to miss out on. Sam and his loveable puppet Baby Leo made it into the Semi-Finals of Britain’s Got Talent 2014. He is proud to say that he was one of the top 45 acts out of over 70,000 applicants!